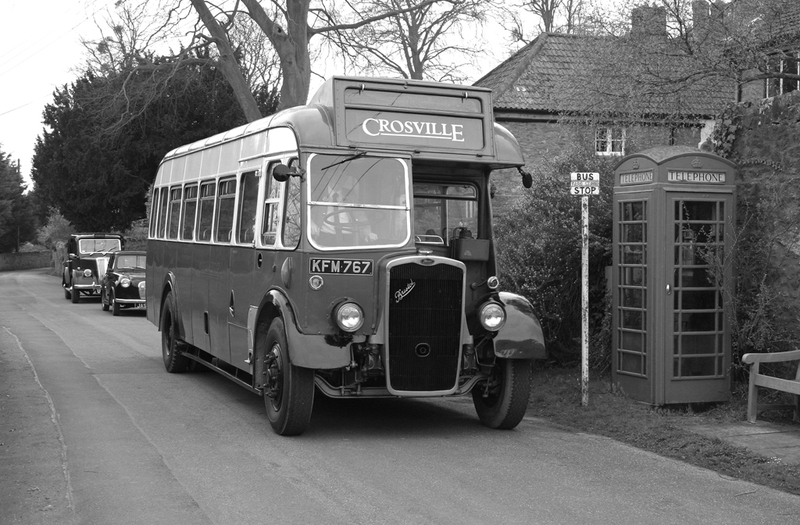 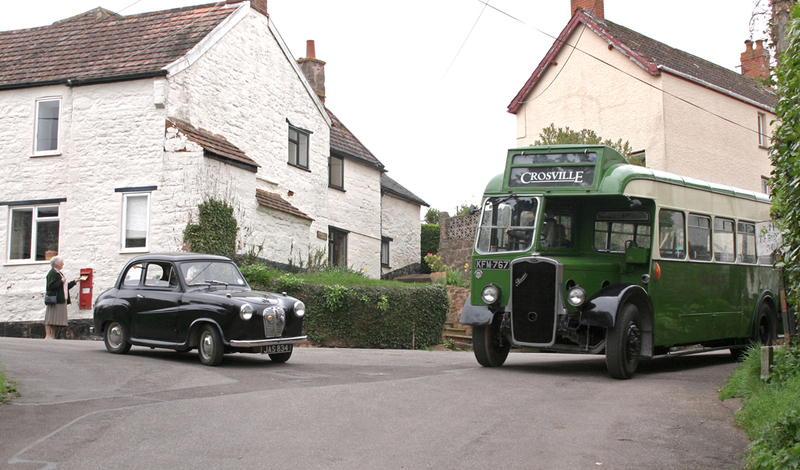 The 1950 Bristol L5G - Reg: KFM767 was used on the 3rd April 2005 on a photographic charter to visit locations in West Somerset. 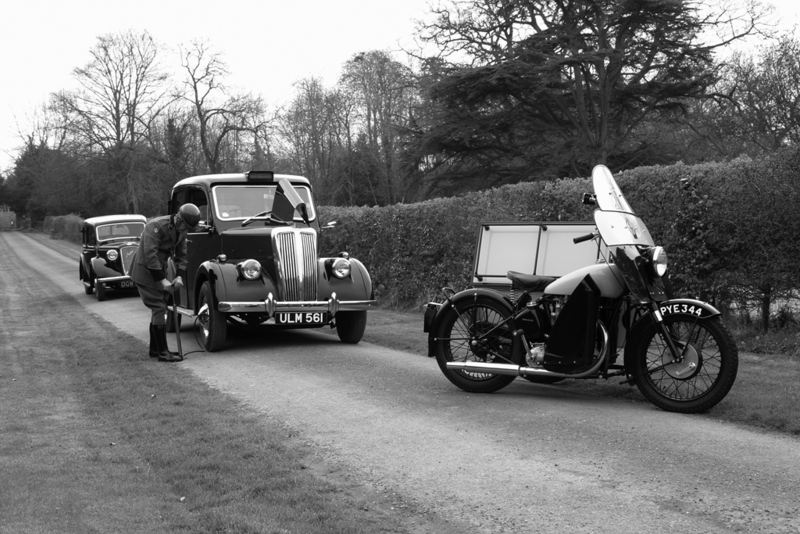 Several additional vehicles also came along for the day. 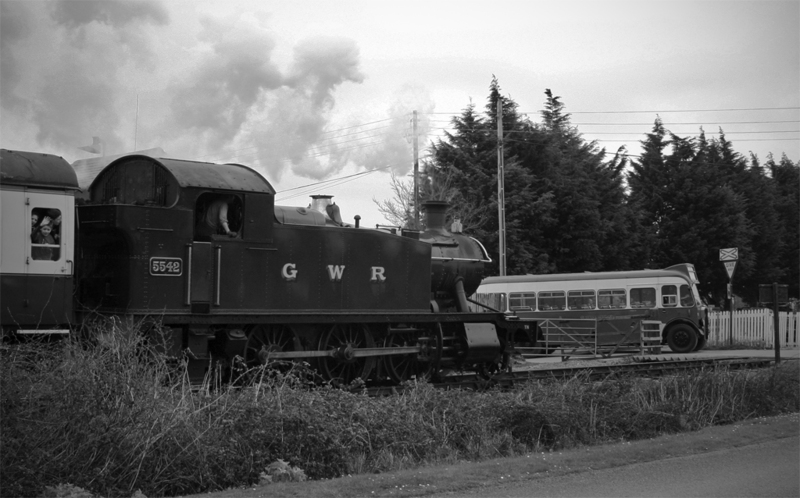 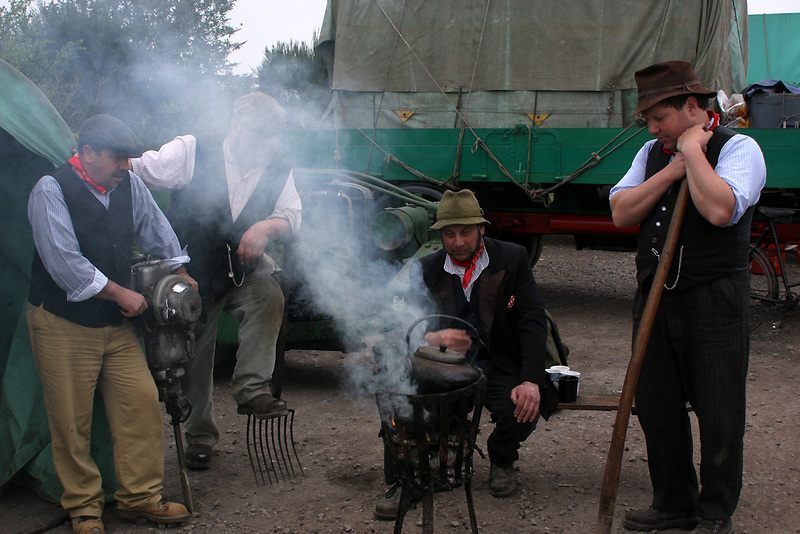 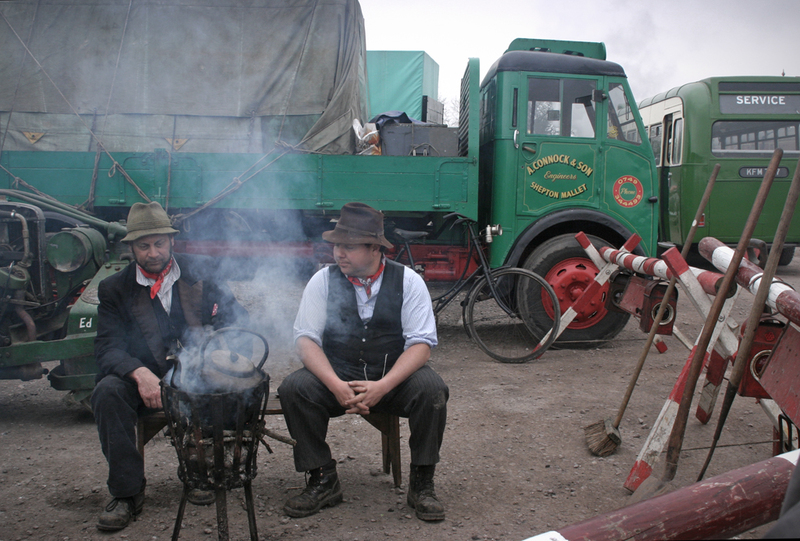 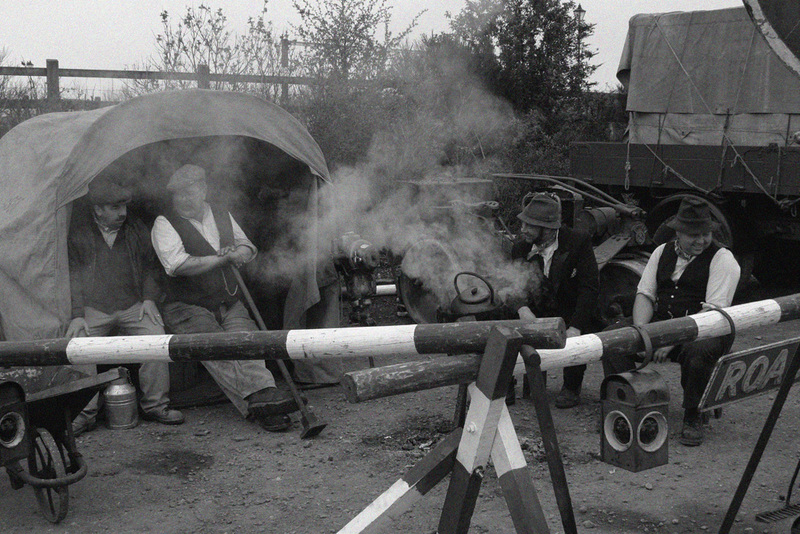 The event started at Bishops Lydeard Station with a roadworks scene acted out by A Connock & Son of Shepton Mallet in the station car park. 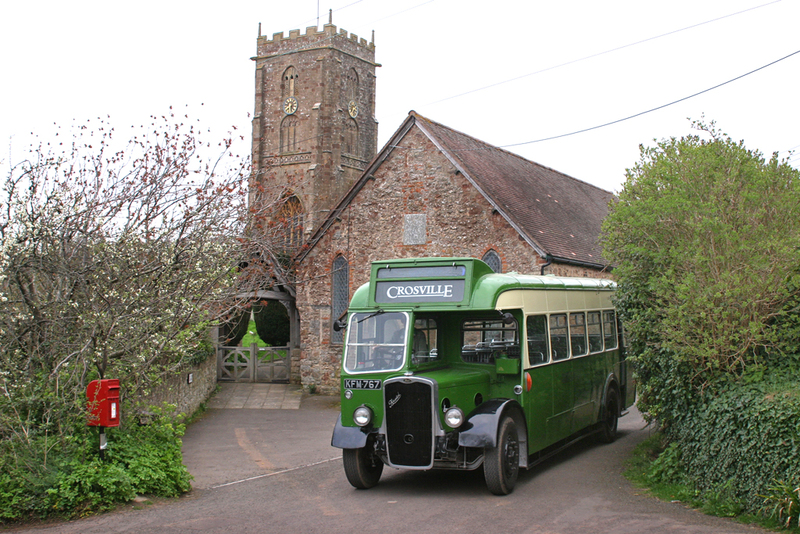 After this attenees boarded the bus to visit Ash Priors, Crowcombe Village, and Crowcombe House before heading towards the sea passing through Old Cleeve, Blue Anchor and Dunster. 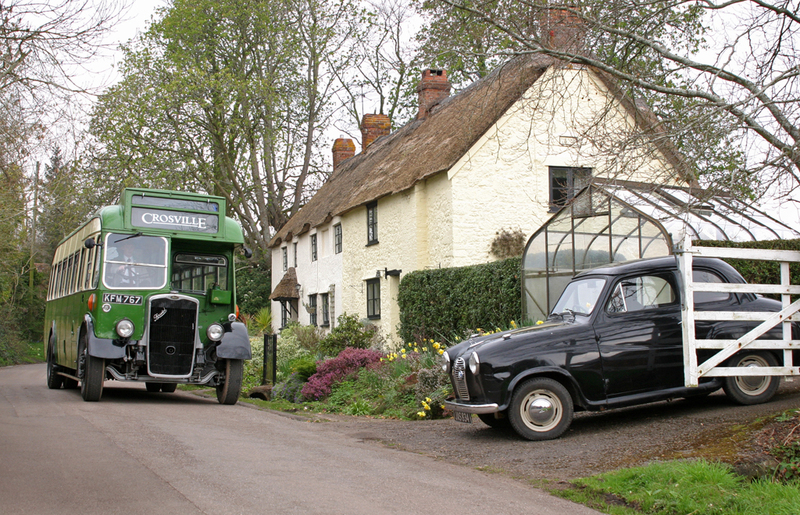 The weather for the day was not the best, with just one fleeting glimpse of sun at Dunster during the late afternoon. 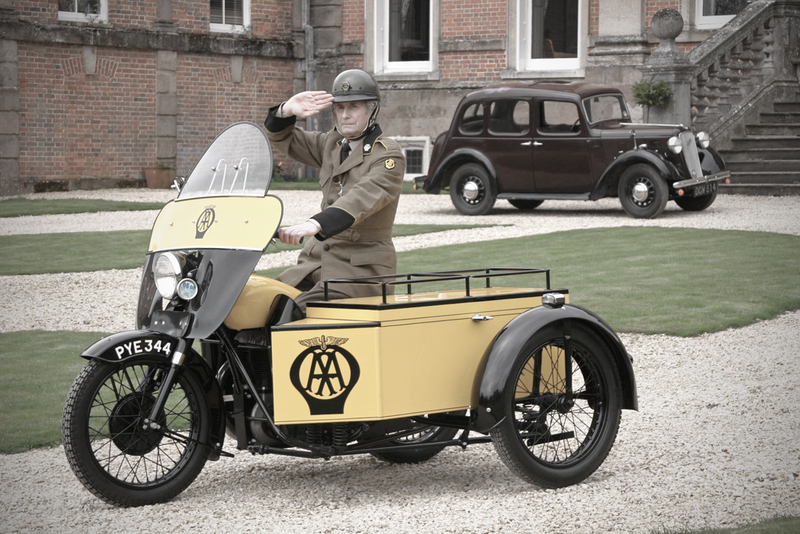 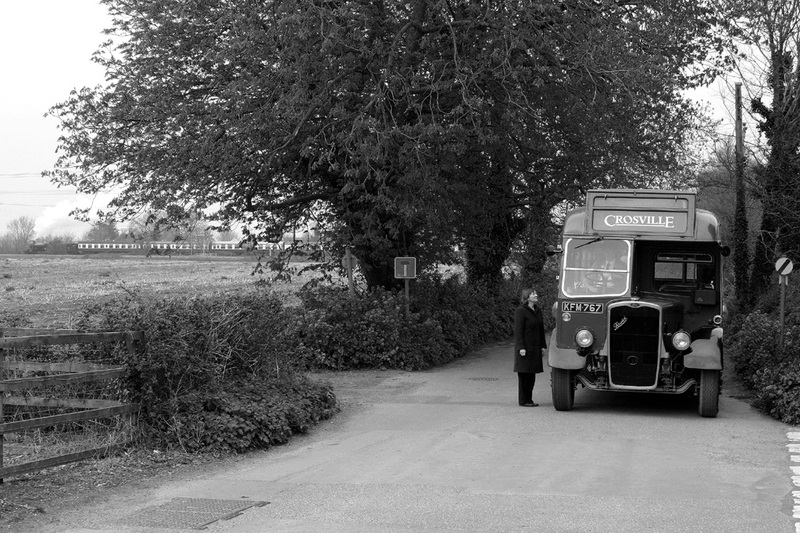 The event was organised by David Williams, the day went very well and was one of the first photographic charters which I attended. 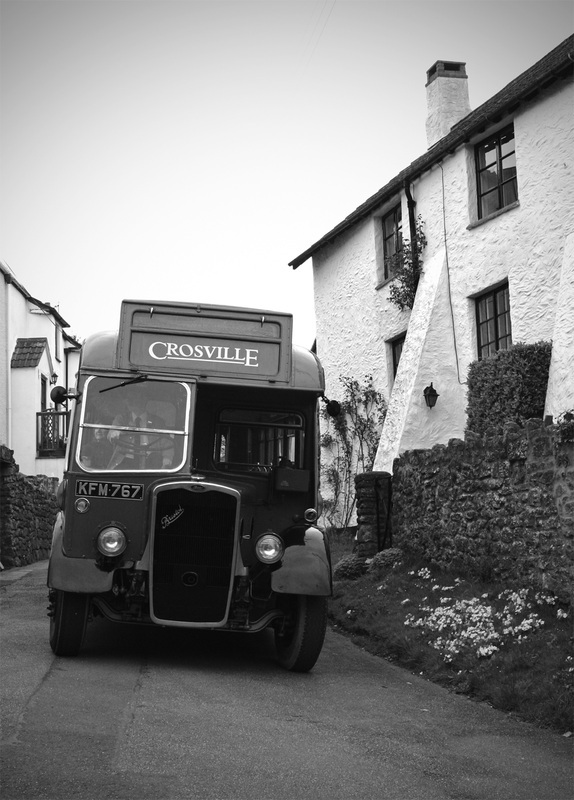 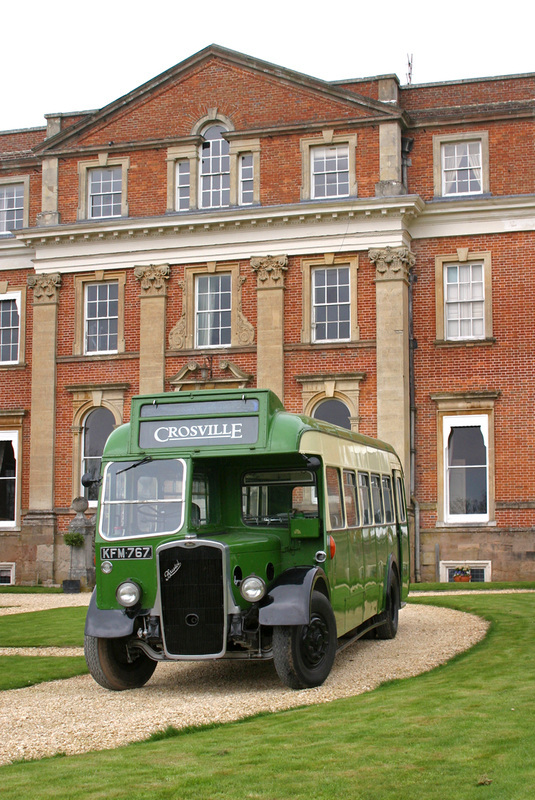 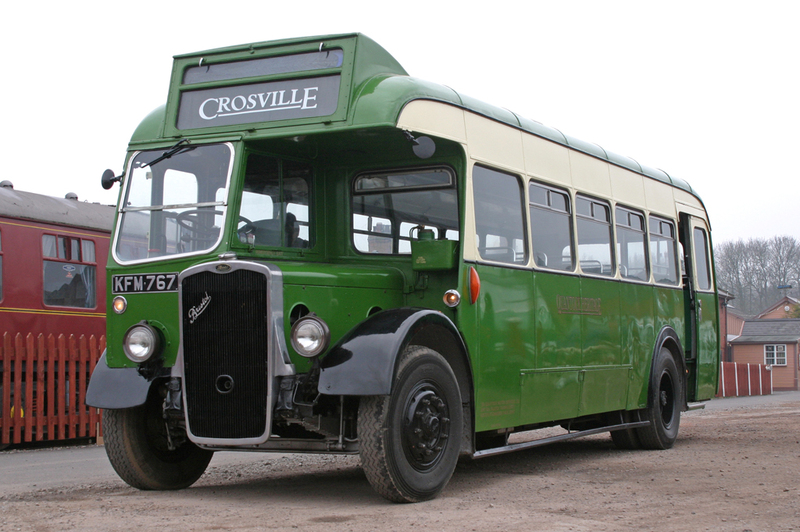 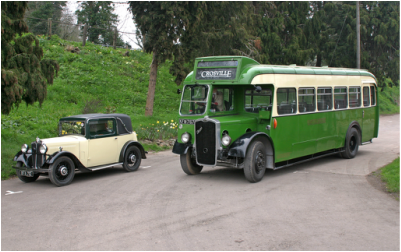 The bus was hired in from Crossville (Weston-super-Mare) and operated by Quantock Motor Services.